You must first register to view courses. Registration is available for Capri Cosmetology Learning Center Students who are currently attending and Staff ONLY! After registering, please allow 24-48 hours for approval! Upon approval you will receive an e-mail with your password. 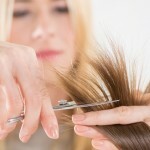 This course contains all of the key elements to train you to become a great hair cutter. Before you can create all the interesting and fabulous looks that you see, you must understand the basics behind them. This program is designed to teach you the basics for all hair cutting. You will be introduced to all the important theories, techniques and skills necessary to create any haircut that your imagination can come up with. This course is designed to teach the student the basic techniques that are used all of the most modern hair color designs. There are three basic techniques all hair colorists use in their designs: block coloring, slicing and weaving techniques. Once you master these three techniques and combine them with your creative imagination, you can create any look for your clients. This course is designed to teach you all the techniques and skills necessary to create all hairstyles that are popular now and into the future. By understanding these basics you can create any kind of hair design. All Hairstyles contain three elements: Direction, Shape and Texture. This course will take you from the very basics of all hairstyles and progressively teach you all the techniques that are used to create all hair designs. This course contains all the techniques used to change the texture of your clients hair. One of the biggest complaints by clients today is about their hairs natural texture. Clients with fine straight hair want body and fullness, clients with curly, thick hair want straight shiny hair and everyone in between wants something different than what they currently have. By having the knowledge and skills necessary to perform these services on your clients, you will be able to successfully change anyone's hair texture to what they want. This course is designed to show you the necessary steps to successfully pass your New York State Cosmetology Practical Exam. Included in this course is the proper set-up for each part of the exam, the correct tools used for the exam and proper procedures for each part of the exam. By studying this course you will become familiar with the procedures the State of New York requires of you to become a licensed cosmetologist. The more you watch and practice these techniques, the better you will perform when you go to take the New York State Cosmetology Practical Exam. This course will teach you the techniques needed to take the Classic Haircuts and create a new and more modern look. It is recommended that before taking this course you complete Haircutting Classics first. You will be introduced to Razor cutting, Texturizing techniques, Thinning shear techniques, and Clipper cutting techniques. These techniques are used everyday in successful salons and in most haircuts. Without a good foundation in which to build upon you will never be able to create the new, modern looks of today. 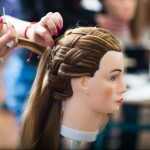 This course will introduce you to the basics of all Long Hair Designs better known as Up Do's. There are three categories that build all long hair designs. They are Braids, Twists, and Rolling of hair. The skills and techniques for these three categories are explained and taught in this course. 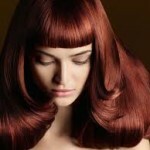 By accomplishing these skills you will have the tools to build any and all long hair designs. Curly Hair clients need special techniques and tools to control their hair. The majority of these clients want to straighten or lessen the curl of their hair. This can be done with Temporarily (Styling) or more Permanently (Chemicals). This course is designed to show techniques that are exclusive to Curly Hair and assist with the styling of this type of hair. This course will teach you all of the different techniques available to apply Hair Extensions from temporary to more permanent methods. This course will demonstrate techniques used to apply hair extensions into your clients natural hair. 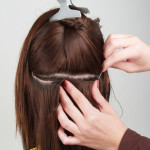 With this knowledge you will be able to investigate various hair extension companies and know what they offer and what system is right for you. Although there are only three ways that Hair Color is applied, the ability to create with these techniques is up to your imagination. This course will teach you methods and utilize tools that are more creative and modern which create different looks for your clients. You will be introduced to techniques such as halo, shoe shine, balayage and many more. Remember that Hair Color is a combination of color choice and application technique that gives the stylist the great results that are needed in today's competitive market. Although Hair Color is all the rage and Permanent Waves are a thing of the past there are clients out there looking for something but don't know how to get what they are looking for. It is up to the stylist to be able to assist the client in creating what they are looking for and many times it is a change in texture of their hair that will satisfy them. This course is designed to teach different types of permanent wave wraps that will offer your clients a variety of textures for those looking for something different. This course contains all the important information and steps to learning how to master the Capri facials. Facials are one of the most requested services and can yield the highest profits in a spa business. But first you must learn the basic components and proper skin analysis before you deliver these relaxing and luxurious services for your clients. Learn how to incorporate add on services to your facials such as enzyme and glycolic exfoliations, eye treatments and the very popular microdermabraision treatment. Included are men's facials and back facials. These spa services will deliver visible results and will ensure repeat business. Capri Body Treatments: Advanced treatments such as body treatments promise a wide variety of benefits and results for your clients. They also require knowledge of the preparation of the room before a client enters, product knowledge for during the service, client care, proper removal to finish the service.... plus much more. These videos will show you step by step how to learn how to do the most popular mud wrap body treatment, a body glow exfoliation and the amazing aromatherapy body treatment! Capri Preparation for the New York State Department of State - Division of Licensing Esthetics Practical Exam. 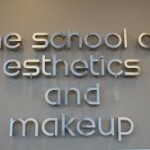 This Capri video will prepare you for the State Board Practical Test required for you to attain a license in Esthetics. 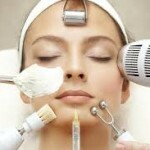 It breaks down all of the actual procedures which are waxing, facial and makeup application. It will also educate you on safety and infection control, set up and clean up for this exam.